Welcome to your collection hub. This page will have your updated recycling & waste schedules, as well as helpful information for other disposal methods. For any further questions, please see our frequently asked questions, or contact us here. To ensure that your materials are collected, place your recyclables at the curb by 7:00 am on your collection day on your designated side of the street. Please do not hide your recycling container. Be sure not to place it behind an obstruction where it cannot be clearly seen from the roadway. For example: behind a snow drift, hidden in tall grass, behind an hedge. If you have a broken container, please contact our office by clicking here for a replacement. Needles and syringes are NOT recyclable and should NOT be placed in recycling containers. Contact your local pharmacist, health unit or hospital for proper disposal procedures. Please remember that if your collection falls on a holiday, collection will occur as scheduled, except for Christmas and New Year’s Day; when collection may be rescheduled. To ensure that your materials are collected, place your garbage at the curb by 7:00 am on your collection day on your designated side of the street. Please do not hide your container(s). Be sure not to place it behind an obstruction where it cannot be clearly seen from the roadway. For example: behind a snow drift, hidden in tall grass, behind an hedge. Only containers provided by the Association will be collected. Please remember that if your collection falls on a holiday, collection will occur as scheduled, except for Christmas and New Year’s Day; when collection may be rescheduled on an alternate day such as the Saturday in between. There is no scheduled curbside collection service for source separate organic materials and leaf and yard waste collection in your community. We encourage you to use a backyard composter or a digester to manage this type of material. Managing materials as close to the source as possible is usually the best approach from an economic and environmental perspective. Leaves raked onto the street or ditch will not be collected. This poses a danger to pedestrians, bicycles and motorists and can cause drainage problems. Yard waste can also be dropped off at your local Leaf & Yard waste site. See a map of all Leaf and Yard Waste sites here. Note that not all sites can accept all materials, please call ahead to avoid any disappointments and some may charge a nominal fee to drop off your materials. Hazardous materials can be dangerous to people as well as the environment. Be sure to bring your hazardous products to the special depots so that they can be disposed of properly. Clean Harbors Canada Inc. operates a Household Hazardous Waste depots on the last Saturday of the month from March through June and September through October. Contact the County of Lambton at 1-866-324-6912 for more information. Clean Harbors Canada Inc. is located at 4090 Telfer Road in St. Clair. Agriculture and industry may produce the most hazardous waste by volume and mass, but the biggest threat to the majority of Canadians is our homes. Our closets, cupboards, basements and garages are full of hazardous products, which are also known as household hazardous waste. Products are considered hazardous when they are corrosive, reactive, flammable, toxic and/or radioactive. Dangers associated with a product can be reduced through careful shopping or by using safer alternatives. To get a list of safer alternatives, click here. Some materials are just not made to be disposed of curbside. Whether you are a resident doing a spring clean up, a renovation project, or you have oversize items to dispose of, you can use a containerized service like those offered by Mars Environmental or you can bring it directly to the local landfill. Please call ahead to avoid any disappointments and expect to pay a nominal fee to drop off your materials. We try to keep our lists up to date, but they may be outdated. Send us an email if a site is closed. 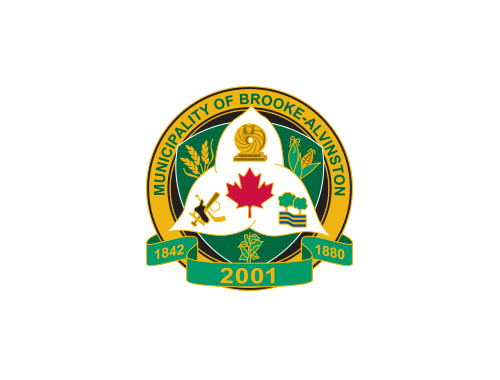 Take advantage of these additional resources that are tailored for your municipality. These publications are ready to print! A quick guide to acceptable materials in your blue box. How to set out your curbside bin for collection.